In brief: Epic has just launched V7.30 of Fortnite. As usual, the update has goodies like a new grenade called the Chiller, which freezes enemies. It also has a temporary mode that boosts material collection and makes all weapon drops legendary. More significantly (at least for mobile users) Epic has added Bluetooth controller support for iOS and Android. Everybody likes to gripe about Sony not allowing cross-platform play, but it’s a double-edged sword. Sure you get to play with your friends, but not all platforms are equally suited for competitive play. Just ask those playing Fortnite on Android and iOS. These guys have been getting annihilated by console and PC players from the beginning. Now their main hindrance is playing on a tiny screen. Android users can use virtually any Bluetooth gamepad they might have lying around, but one geared for phones would be ideal. Epic suggests SteelSeries Stratus XL, Gamevice, XBox1, Razer Raiju, and Moto Gamepad as being good choices. Fortnite players on iPhone or iPads are going to want to pick up an MFi controller. The devs recommend the Steelseries Nimbus or Gamevice. 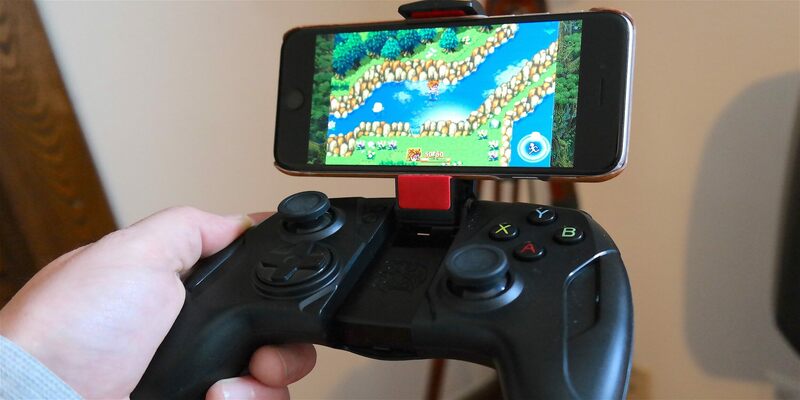 However, there are plenty of other Made For iOS controllers out there that would work just as well. I like TT eSports Contour (top), which is an Xbox-like controller that cradles the phone on an easel for easy viewing. Another bump that some Android players are getting in V7.30 is 60Hz support. While it will eventually be included in all Android devices, Epic is initially rolling the feature out to Samsung’s Galaxy Note 9, Huawei’s Honor View 20, and Mate 20 X. There was no mention of a timeframe for a complete rollout. Fortnite V7.30 has plenty of other bug fixes and improvements. If you’re interested check out the patch notes on the Epic Games website.